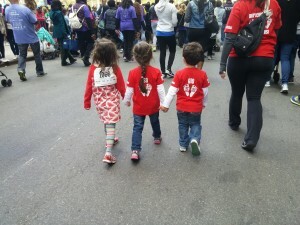 My March for Babies Story. Why I walk! Right when you couldn’t be happier about being pregnant and feeling the most amazing feelings going on in your body something flies in your direction to shake things up a bit. It was a doctor’s visit that changed everything in a blink of an eye. I went from being on bed rest to hospital bed rest from morning to night. Everything began happening so quickly including the fear that swept over and all the what if’s came flooding in. The blame took over the space that was once sunny. I thought that being on hospital bed rest was going to change everything. Give our daughter Isannah all the help she needed to continue to grow inside me like Giovanni was but that didn’t happen. That morning during my routine sonogram everyone was quiet. I didn’t hear the friendly conversations. The smiles had faded and only fear filled the room. The words, your doctor is on the way and will answer all your questions, made my chest cave in. Isannah was being monitored carefully because she was not receiving absent end-diastolic blood flow and she wasn’t growing. It was time to take her out. 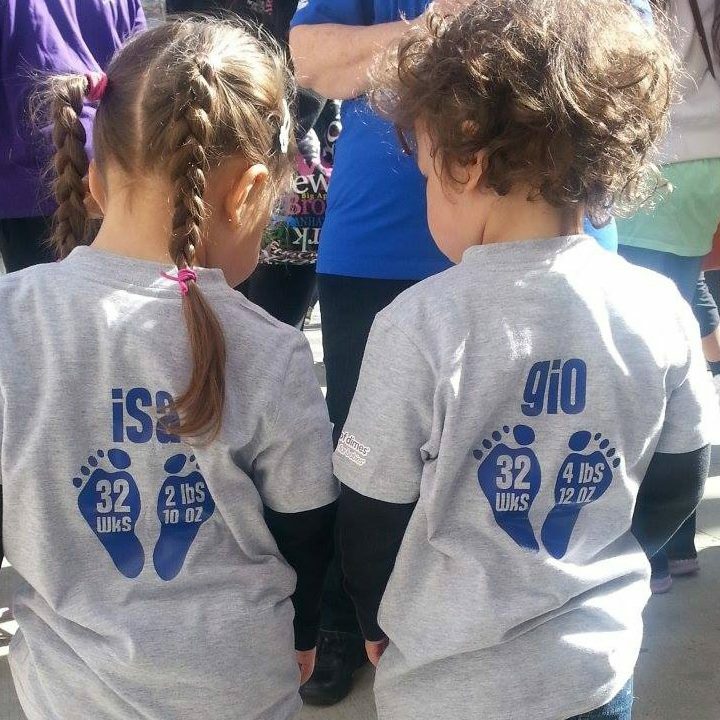 A diagnosis of preeclampsia led to an emergency c-section at 32 weeks, and both babies were taken to the NICU. From that moment on all I felt was guilt and shame that I couldn’t provide both my babies with all they needed to be born on their time rather than being forced out early to experience stress and pain. Having my babies in the NICU is the toughest thing I ever had to experience. I felt my heart breaking off piece by piece and with each crack a pain so intense went through my body. Once both my babies were out it was Giovanni “baby A” that became weaker on the outside. I remember my husband waking me up that night with the look of panic and concern. We rushed to the NICU and were quickly escorted to a private room where the doctors prepared us for the worst. We needed to be prepared that Giovanni would not make it through the night. He had pulmonary hypertension. How does anyone react to that? Our sweet babies were fighting to stay alive. Giovanni 4lbs 12oz and Isannah 2lbs 10oz. I wanted to cry and scream out loud but knew I had to keep it in and be strong for Isannah and Giovanni. Although I was crying inside I couldn’t let it show, not there. I am a mom now, I kept telling myself. Be strong for your babies but it was hard to convince myself not to cry. I know crying wastes too much energy and energy is what I needed to provide for my babies. Each time I sat by Isannah and Giovanni I focused on the rhythm of their breathing, memorized every inch of their little bodies and carefully watched each movement they made. I took them in with each breath I made. I wanted so much to be able to provide them with all the care that they needed but it wasn’t me that could help them. It was the machines, doctors and a nursing staff that provided the care they needed. All we could do was be at their side, gently hold their head and calm them down with our voice. After time passed we were able to finally hold our babies by using the kangaroo method. The first time I got to hold Giovanni and kangaroo with him was the sweetest gift. My boy was able to lay skin to skin with me and we shared a connection. The first bond of many to come. Feeling him breathing on my chest, listening to the sounds he makes and feeling the little tapping of his tiny little fingers on my chest brought a smile that I’ve been missing to my face. Kangarooing is an amazing feeling. Then it was time to hold my little angel Isannah and enjoy the bond Kangarooing allowed. She was so tiny like a feather gently laying on my chest. Feeling Isannah become calm on me made me smile some more. The little joys you are able to experience in what you feel is a scary place with beeping alarms, dangling tubes and a dark environment is priceless. The pain, the exhaustion, the anxiety and the many tears of gratitude shown throughout the NICU was in every parents eyes. This was a time of strength being tested. Bonds being made and hope that kept us going. Giovanni was released from the NICU first and although I was happy that he was much better I was still torn between my baby girl who was still fighting and feelings of gratitude that Giovanni was home. Instead of getting easier it was harder going back and forth because you never wanted to leave anyone’s side but you couldn’t physically be in two places at once. I was thankful for the staff in the NICU and the love of family they showed us. Giovanni and Isannah turned 4 years old in January. They continue to grow healthy and strong every day.